Main engine: 1x Wartsila 2270 hp. Speed 10 kn. total vol. 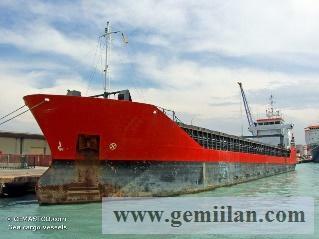 : 5720 cbm, 1Ho/1Ha (gantry crane), 2x movable bulkheads. Other: Tanktop strength: 15 t/sqm.